I did a recipe yesterday that my mother used to make, Snowball Cookies. They brought back a rush of memories. 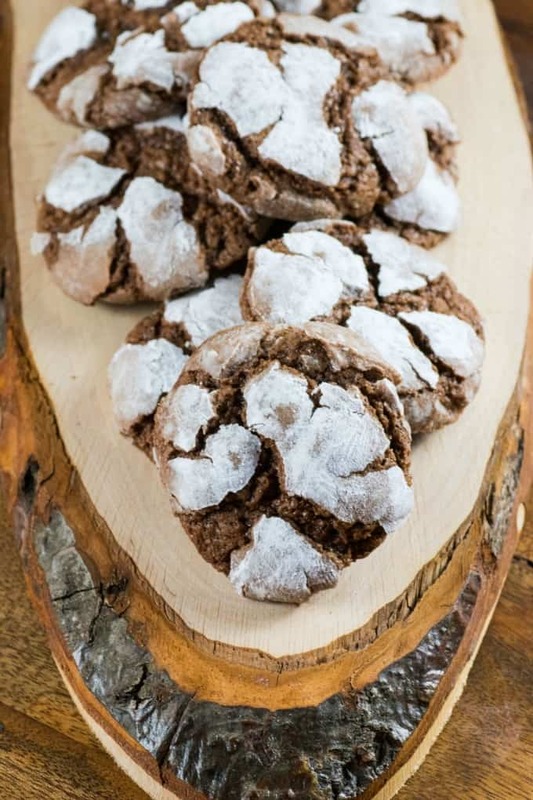 Another cookie that brings back memories are these Chocolate Crinkle Cookies. I loved making these as a kid and I called them lava cookies as they look so cool when they are baking. I used to sit on the floor and peer into the oven watching them transform from a ball shape into a cookie and crackling all the way. Very Cool!! This recipe is from Betty Crocker’s Cooky Book. I have a whole collection of these cookbooks that were given to me by our neighbor when they moved away and I cherish them. These cookies are not made with the usual chocolate source. There isn’t any chocolate chips or cocoa powder used but unsweetened chocolate that you melt. 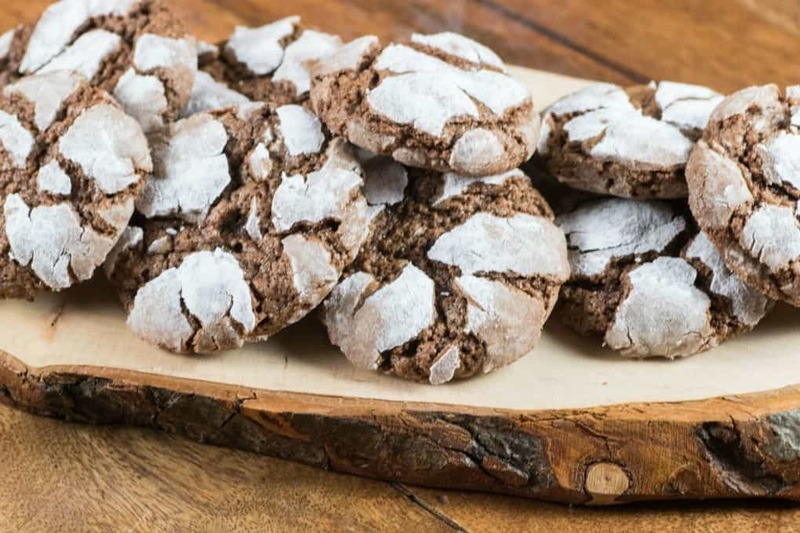 Chocolate is a must to have on any platter of cookies and these just scream festive and grand with their black and white appearance. These go perfectly with all your holiday favorites like Best Ever Fruit Cake Cookies, Festive Shortbread Bites, Polar Bear Cookies, Holiday Mini Butter Tarts and Christmas Sugar Cookies. 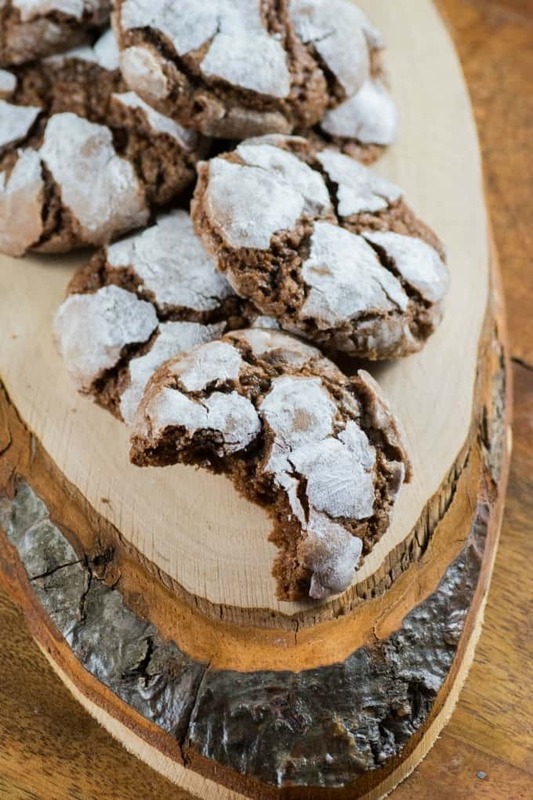 How to Make Chocolate Crinkles Moist? 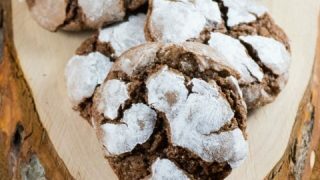 How do you make Chocolate Crinkles moist? 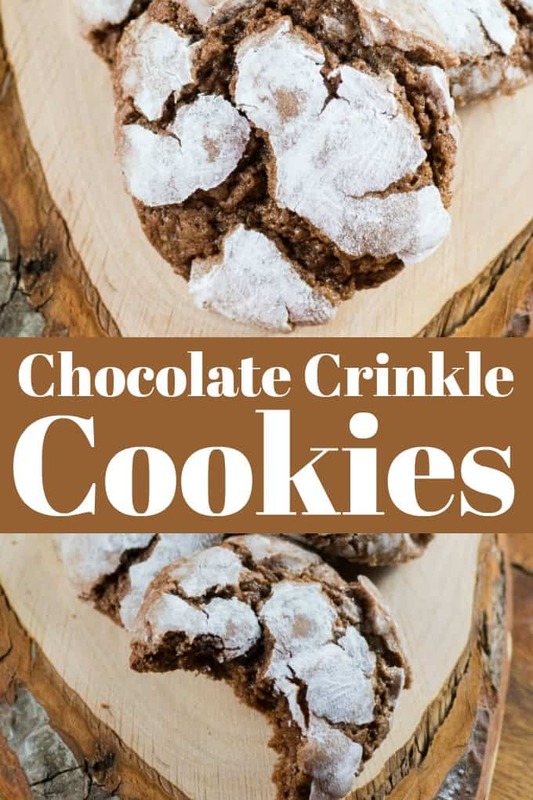 Chocolate Crinkles are not suppose to be a crunchy cookie but more chewy with a brownie-like center. To accomplish this you don’t want to overbake them. They should be baked for no longer than 10-12 minutes. They may even look a little unset but you do not want to overbake them, trust me on this aspect. Do You Have to Chill Chocolate Crinkle Dough? Do You Have to Chill Chocolate Crinkle Dough? The answer is yes! When you make the dough it almost seems like a cake batter. Cover it well with plastic wrap and refrigerate for several hours to overnight. This recipe will take some forethought, a great recipe to start the night before and bake them up in the morning. 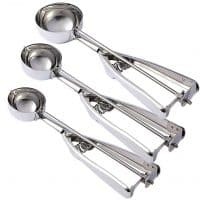 I use a cookie scoop to get the dough scooped out and then you roll it into a ball and roll it in confectioners sugar. I really enjoy recipes like this so I am not in the kitchen for a long period of time. This recipe makes a lot of cookies, like 6 dozen so it is nice to have it broken up. When I was growing up these cookies were a staple for the holidays. I loved making them but for some reason others have replaced them over the years but true honest vintage recipes are where it is at for holiday baking. These cookies have stood the test of time easily. They don’t need to baked just for Christmas but would be a great cookie at anytime. They taste like a Devil’s Food type cookie. Not too rich, not too sweet, just perfect in my mind. I know they have been a very popular cookie for a lot of people over the years. Maybe it is because the recipe is so easy. 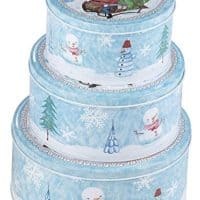 Some holiday baking can be tedious with icing and decorating but these have a wonderful effect all of their own and it happens magically while being baked. Make these with your kids for the holidays. Have everyone huddle around the oven to watch them bake. Your kids will form their own magical memories of the holidays and time spent with you. 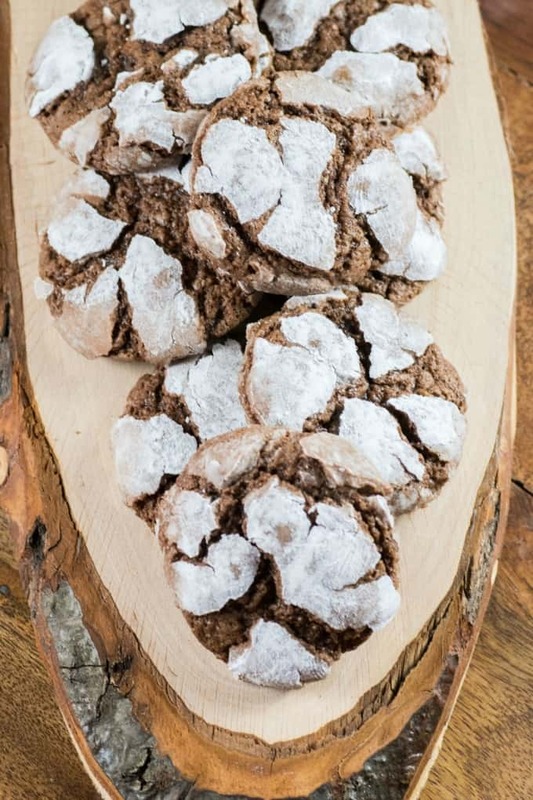 Can Chocolate Crinkle Cookies be Frozen? Yes, they are in my freezer now waiting to go into gift boxes. They will last up to 3 months in your freezer so they are a great make ahead cookie for the holidays. As a matter of fact many, many cookies stand up in a freezer well. I start my baking in November and put everything into my calendar so I am oganized and not stressed trying to get it all done at once. Giving cookies, chocolates and treats for gifts are so well received. I know many people are thrilled to get them and tell me even throughout the year about them. I have a post for you on 26 Freezable Christmas Cookies Recipes that will help you with packaging, freezing, thawing and more! 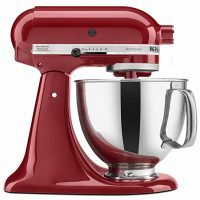 It is a great guide to help you with holiday baking. 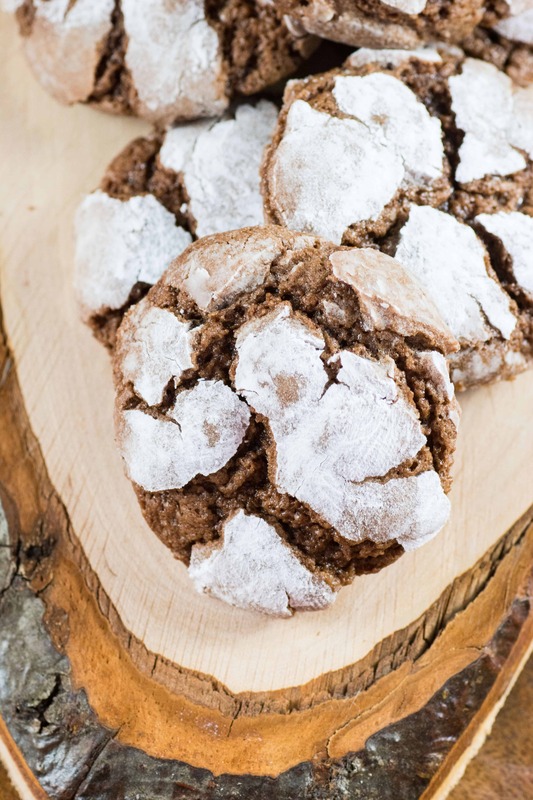 These cookies will sure fix that chocolate craving although you may have more and more cravings come back as you think of these wonderfully chocolatey and delicious cookies. Enjoy your holiday baking and come back and tell me what you have tried and liked! Happy Holidays!! 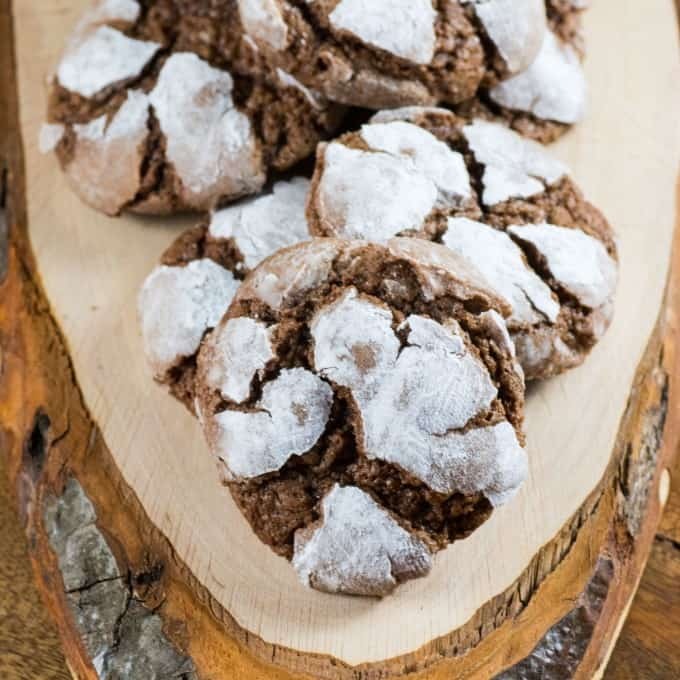 These Chocolate Crinkle Cookies have stood the test of time and are well loved for the holidays! In the bowl of a standup mixer attached with a paddle add the oil, chocolate and sugar. Mix well. Add eggs one at a time until well mixed. Add vanilla. Add flour, baking powder and salt together and add gradually to the chocolate batter. Wrap well in plastic wrap still in the bowl if desired for at least 2 hours or overnight. Preheat oven to 350F. Scoop out dough about 1 Tbsp. at a time and roll into a ball and then into confectioners' sugar. Place about 2" apart on a greased baking sheet. Bake 10-12 min. DO NOT OVERBAKE!! Let cool on pan and then move to wire rack to competely cool. Keeps for 5 days or frozen for 3 months. I will have to whip up a batch of these. I bet they are so good right out of the oven. I love crinkle cookies. I only just tried them for the first time last year. They were so good. I haven’t made chocolate ones yet though. I bet these are amazing too. 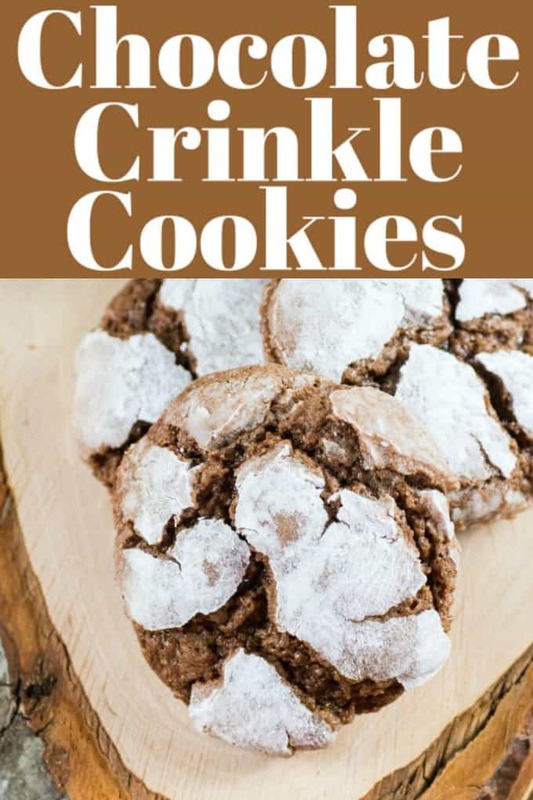 I tried making chocolate crinkle cookies before but I burned them. I will have to try your recipe and make sure they stay in the oven no longer than 12 minutes! I just love how pretty these end up looking! I’m definitely interested in tasting them for the first time too. If I didn’t just eat a brownie I would be mighty hungry for these!! They are some of my favorite cookies! Oh these are a favorite of mine! They are so light and delicious! 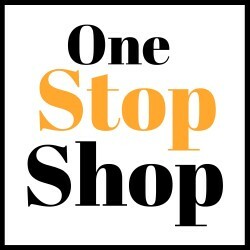 I am going to save your recipe to try! I really enjoy making crinkle cookies. It takes a little bit for that extra step but I think they are fun. We make these every year to give as Christmas gifts to friends and family. These look so special and good. I love cookies and make them too often.